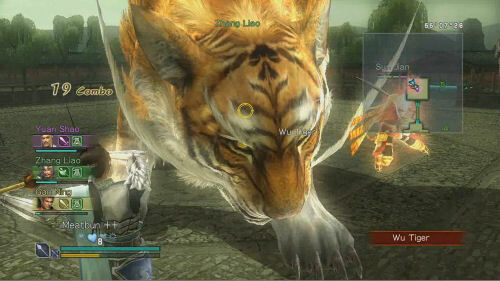 A little while back we posted a video from Koei's upcoming XBox 360 and PS3 port of Dynasty Warriors Strikeforce that featured giant tigers, dogs, and phoenixes. Apparently that's just the tip of the iceberg when it comes to mammoth denizens in the ancient world of China. The latest video shows a few of these brobdingnagian baddies, discusses missions, and focuses on the importance of taking down your foes with a few buddies along. The video alludes to there being a few famous Tecmo/Koei characters that make guest appearances, and while we know about Ryu and Ayane from the Ninja Gaiden series are in the game, we wonder who else will make a cameo and what weapons they'll have to offer. Fortunately, we won't have to wait too much longer to find out as the game is set to be released on February 16. Who's looking forward to some co-op giant demon statue slaying??? Page created in 0.3952 seconds.